While most college care packages include cookies, mine held sucre à la crème. Sucre à la crème is a rich caramel candy similar to fudge though distinctively different in its grainier and more crumbly texture. Once you taste it, you will never forget how delicious it is. Although enjoyed any time of the year, it is often the star of the sweet offerings at Christmas in French Canadian homes. 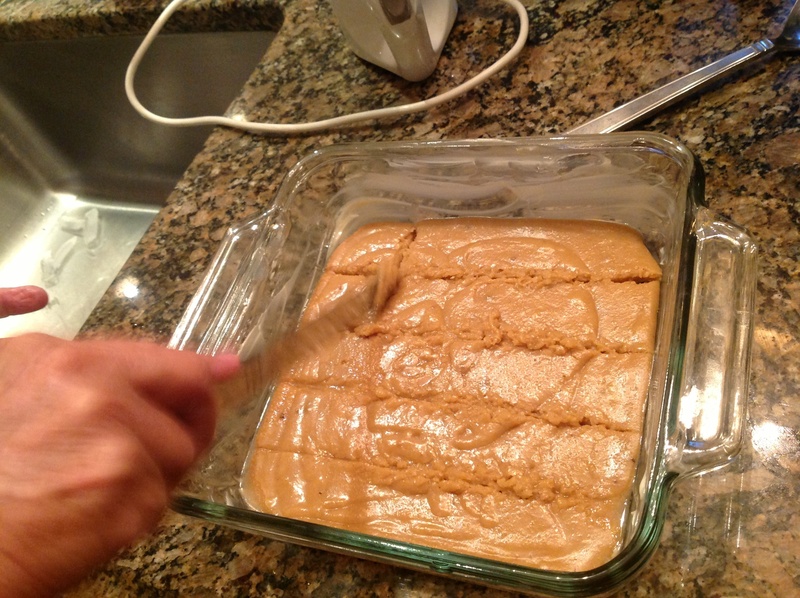 When my goddaughter Jessica asked me for my mom’s recipe recently, I had to confess I had never made sucre à la crème and did not have the recipe. 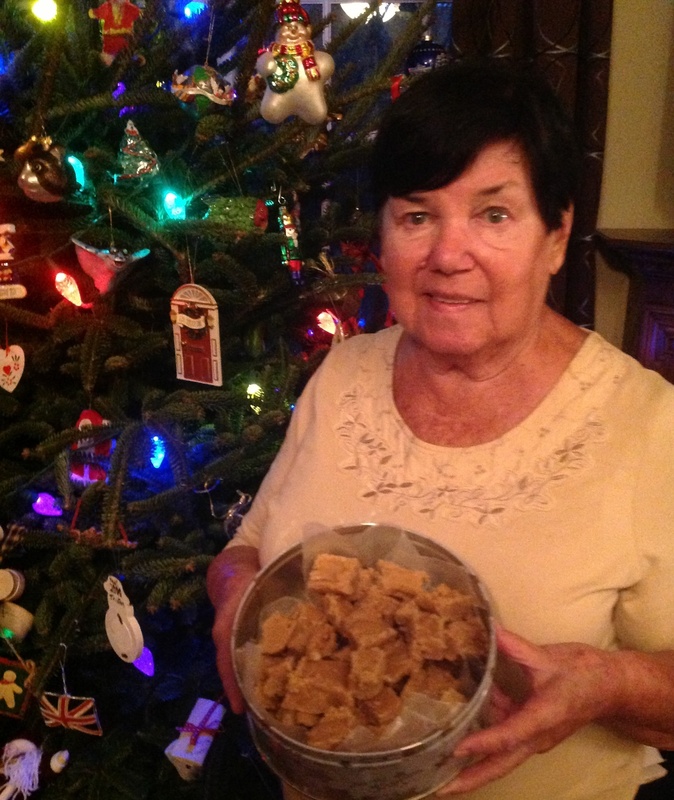 Today, my 82 years young mother, Pierrette, is in residence and I put her to work making her famous sucre à la crème for you, my readers, and for Jessica. 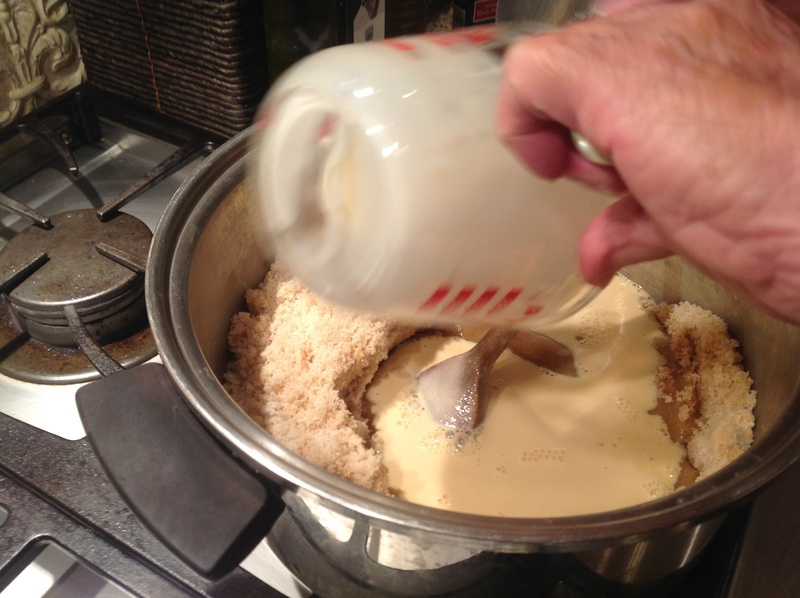 There are a lot of recipes for sucre à la crème floating out there, but this is the real deal! So here is an early Christmas gift! Joyeux Noël! Directions: Butter two 8 inch square pans. 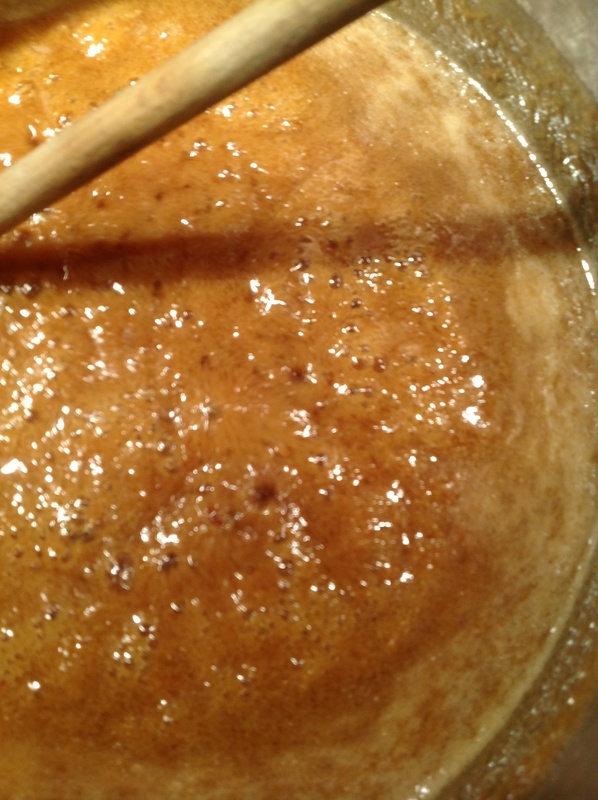 In a heavy saucepan, mix the sugars and salt, add the milk and bring to a boil while stirring. 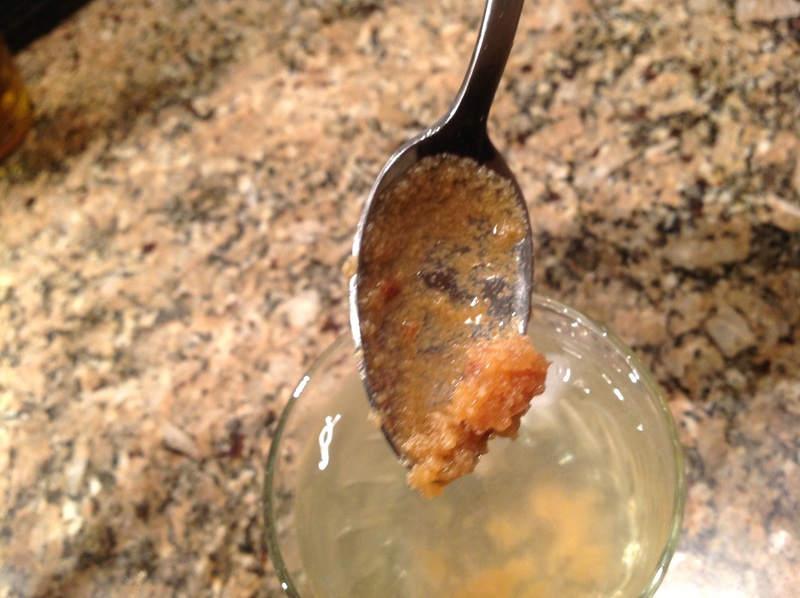 Reduce heat to low and let the syrup bubble for about 18 minutes, stirring occasionally, until either a candy thermometer reaches 235F or a small amount of the candy forms a ball in a glass of ice water. 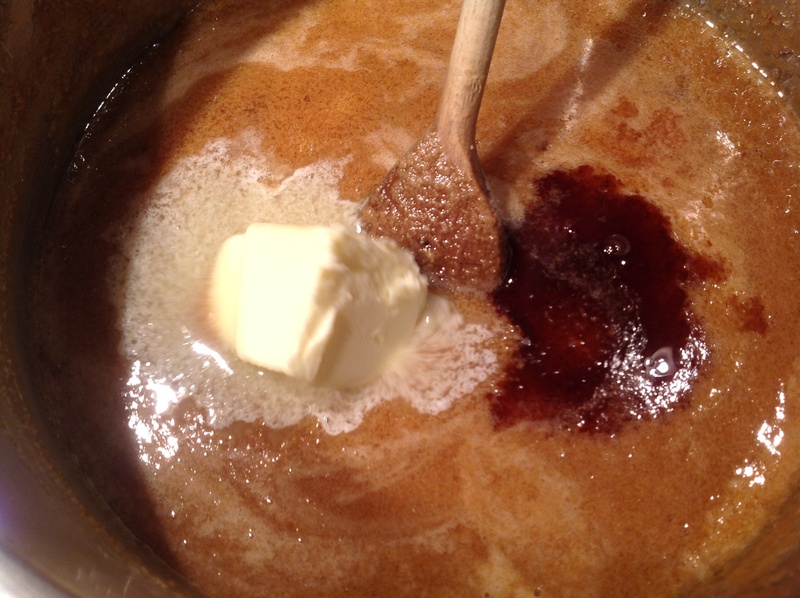 Remove from heat, add butter and vanilla. 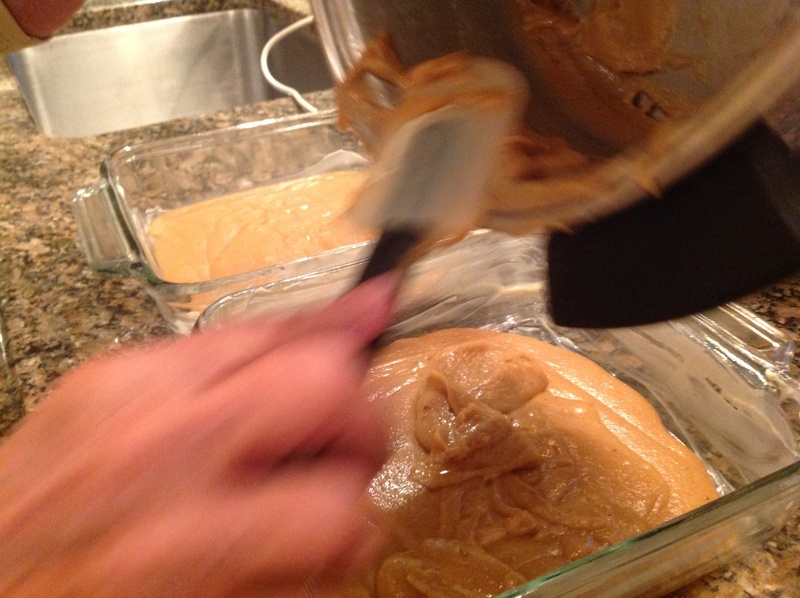 With an electric mixer beat over an ice bath, on high, for 10-15 minutes until it is smooth and the consistency of peanut butter. Working quickly, spread in the 2 prepared dishes, about 1/2 inch thick. 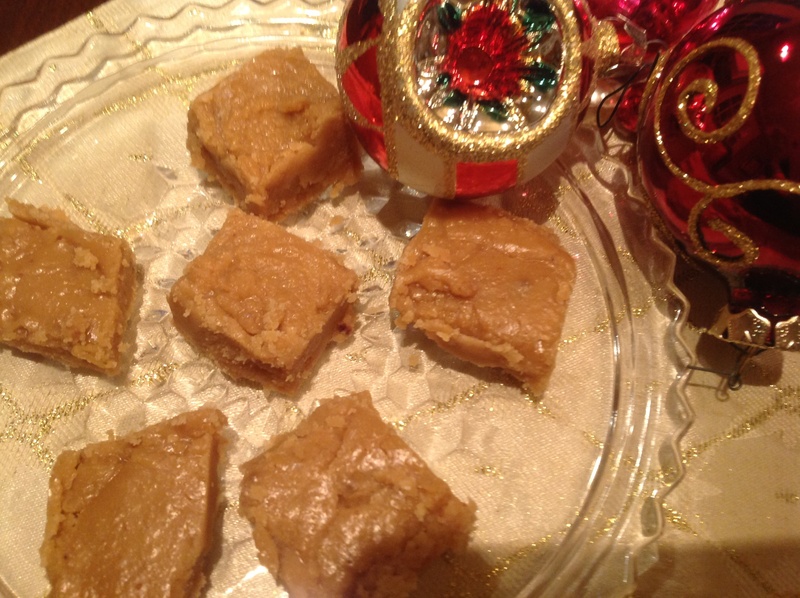 Score the sucre à la crème in small squares and chill about an hour.Cut and store in an air tight container. 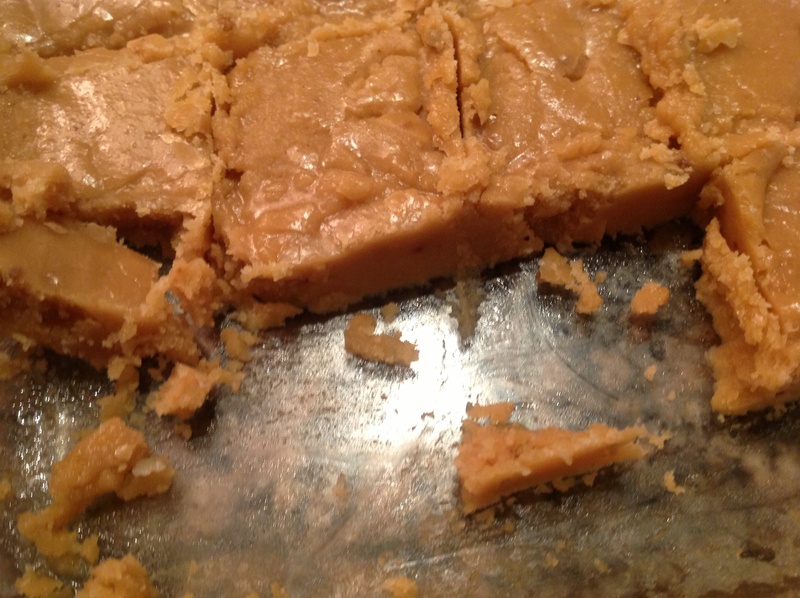 The sucre à la crème can be crumbled over ice cream, crumbled on buttered toast or simply enjoyed as candy. It is rich and a small piece satisfies. The most critical step: the mixture must be hot enough to register 235F on a candy thermometer or turn into a ball when placed in ice water. Add the butter and vanilla. 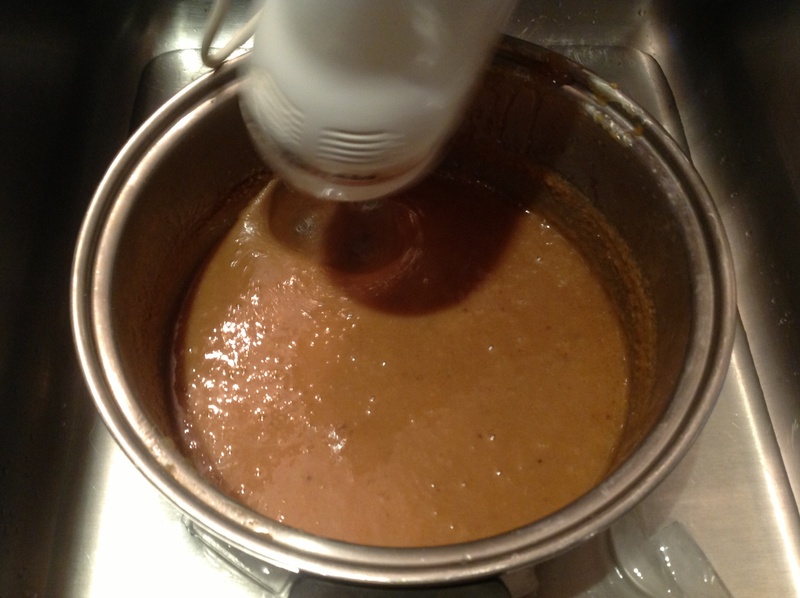 With an electric mixer beat over an ice bath, on high, for 10-15 minutes until the mixture is smooth and the consistency of peanut butter. Working quickly, spread in the 2 prepared dishes, about 1/2 inch thick. 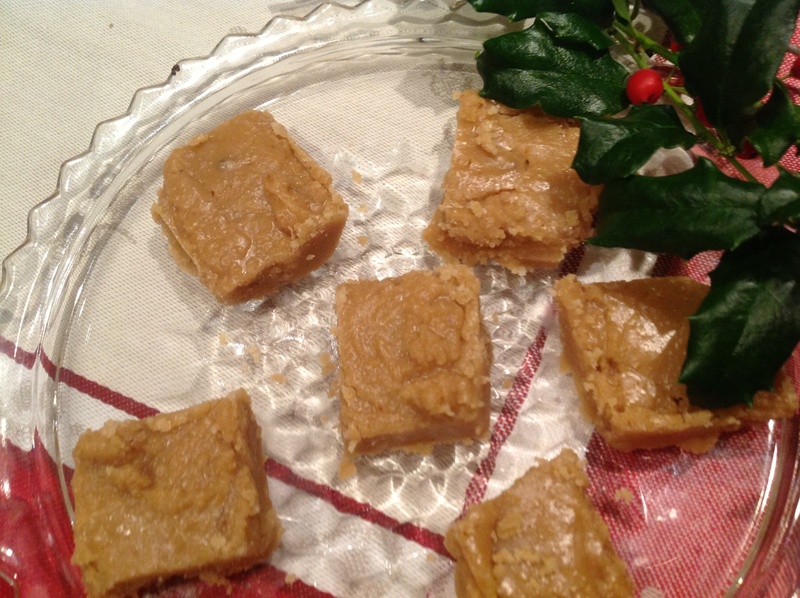 Score the sucre à la crème in small squares and chill about an hour.Cut and store in an air tight container. Keep chilled until ready to serve. I hope you have enjoyed this cooking class with cook extraordinaire, my mom, Pierrette. 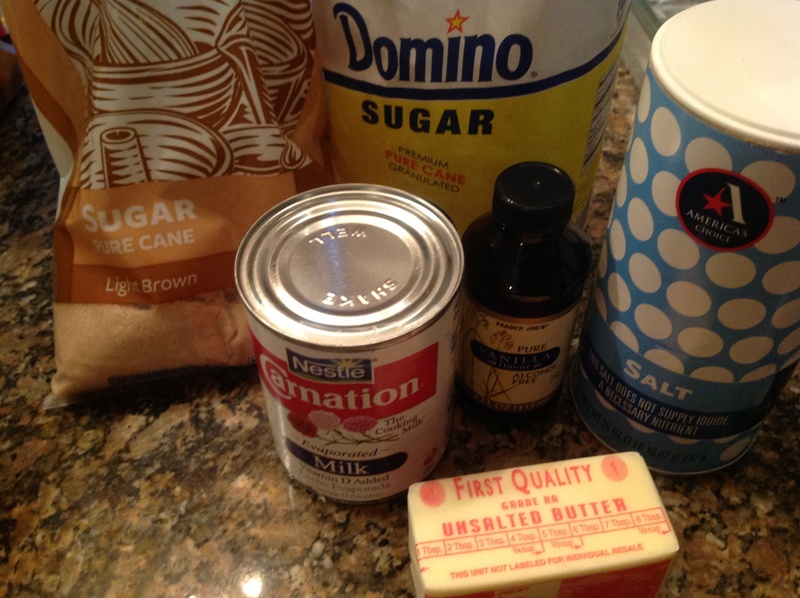 This entry was posted in Recipes and tagged Butter, Candy thermometer, Caramel, Christmas, Cook, French Canadian, Fuge-like candy, Milk by Johanne Lamarche. Bookmark the permalink.